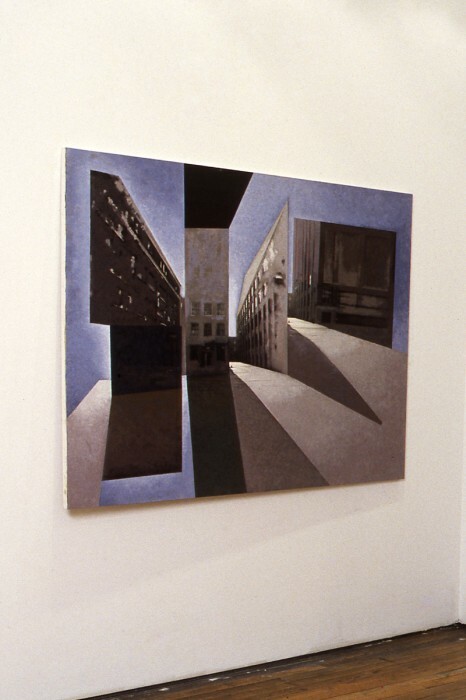 Peter Legris’ Double Plaza (1994/95) is part of a series of works which investigates relationships between painting and photography. 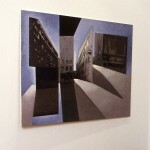 Legris’ procedure is to attach one or two photographs to a larger masonite surface. The relative emptiness of a larger panel surrounding the intensity of a smaller photograph becomes for Legris a suggestive “arena” of possibilities. Using an oil colour and wax painting technique, Legris continues the work by painting both upon and around the photograph – allowing the photograph, in a sense, to become the catalyst of its own transformation through painting. Born in Winnipeg in 1956, Peter Legris studied at the University of Manitoba, York University, and Nova Scotia College of Art and Design (MFA 1986). 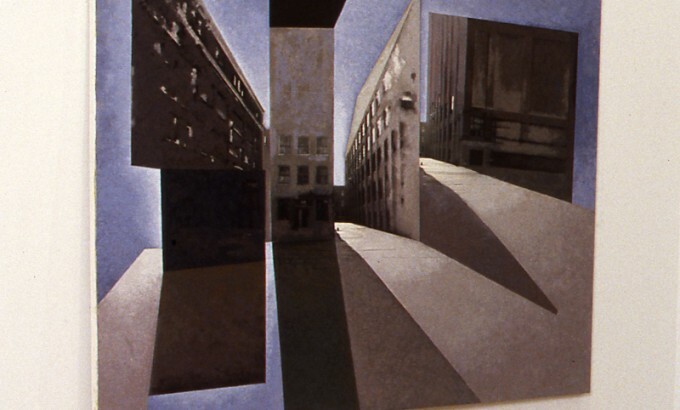 He has exhibited in artist-run centres including Plug-In Inc., Or Gallery, and Gallery 44, and has participated in exhibitions at the Glenbow Museum and the Art Gallery of Hamilton. He has won numerous awards and has works in both public and corporate collections. He currently live Toronto and teaches Design at Sheridan College and Media at the School of Architecture in Waterloo.